The details are in the fine print (full size image for those with bad eyes). 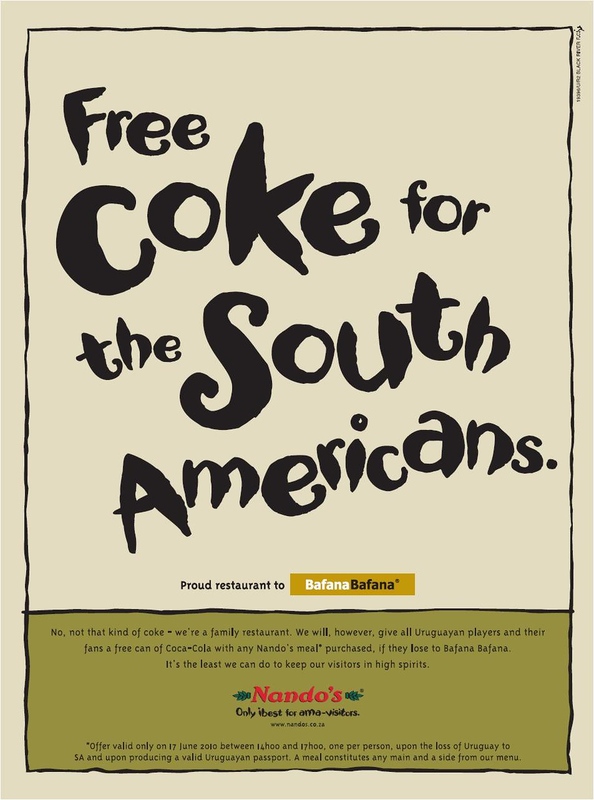 I think Nandos are getting a bit stingy though. The Mexicans were offered a free lunch and now our Uruguayan friends only get a can of Coke ;-) . I wonder what they'll come up with for the French.